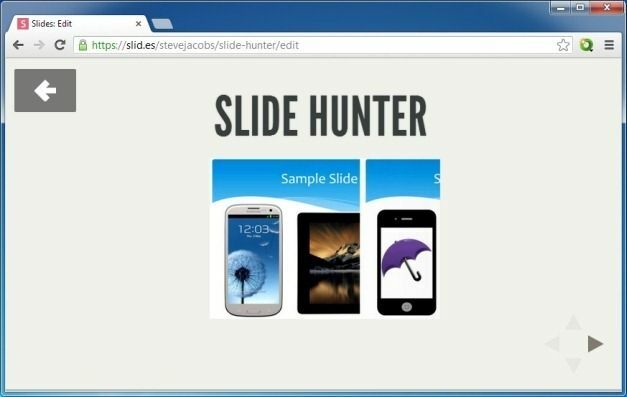 Slid.es (Slides) is a web app which provides a web editor for creating online presentations in a somewhat Prezi like zooming UI. 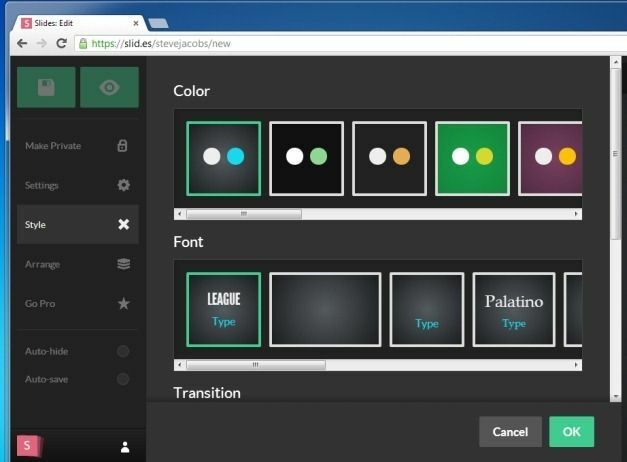 Different slides can be added in multiple spots and users can navigate between them to view slides from four different directions, from any modern browser. 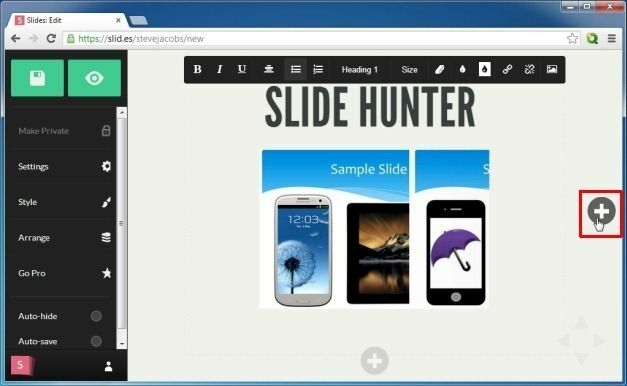 One of the biggest advantage of using the Slides web app is the utility of presenting presentations via a browser, which makes it possible to showcase your slides even from mobile devices like tablets and smartphones. 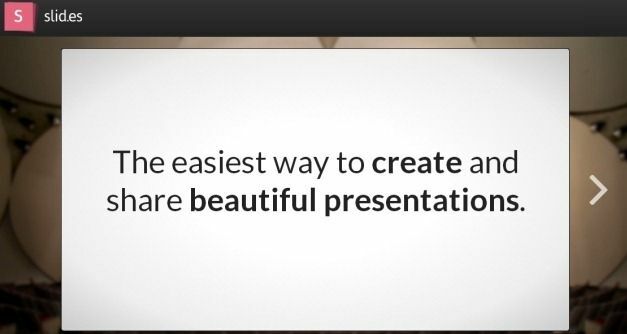 However, it is worth mentioning here that PowerPoint also provides a similar functionality via the Office Presentation Service. 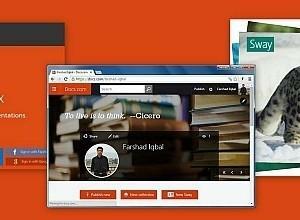 To create your slides, login with a Slide.es account or sign in via Facebook or Google. Once logged in click Create One to make a new slide. 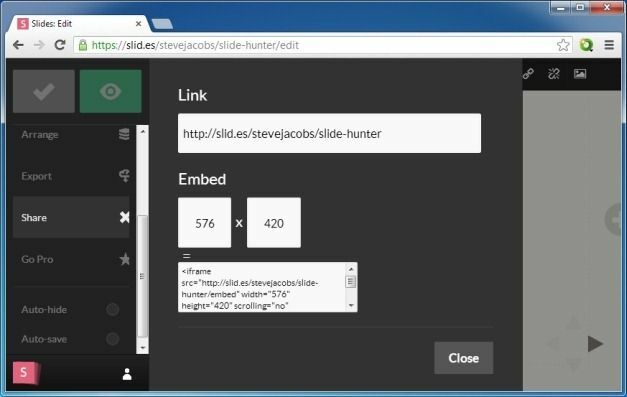 The Slides editor provides different options to help you create slides online. 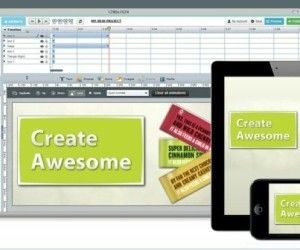 In the first step, you can head over to the Style tab to pick a readymade template and a font type to begin making your presentation. You can not only add images and text but also select a custom background by uploading a background image. After you are done with the existing slide, click the ‘+’ button from any direction to add a slide. 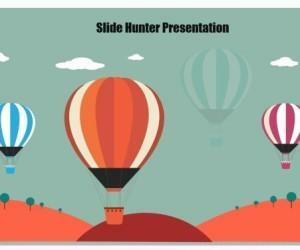 The presenter or viewer of the presentation will be able to navigate between your slides in the directions which contain slides (which can be Right, Left, Top and Bottom). 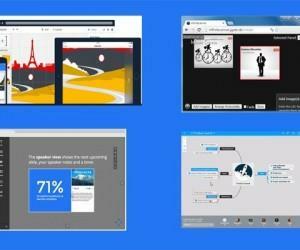 After a presentation is complete, you can choose to keep it Private or Public and present it from any modern browser, from any internet connected device. Private presentations however, are limited to paid accounts. 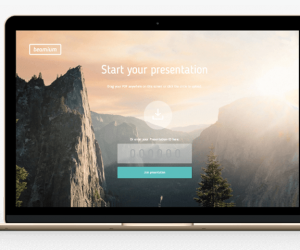 You can also share your presentations with anyone via a direct link or embed it to a blog or website using the given embed code. 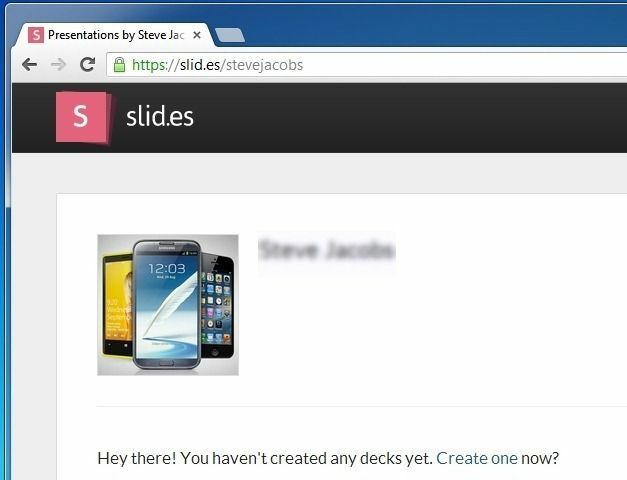 The free version of Slides web app is limited to 250 MB of storage and all decks are kept Public by default. You can upgrade to the paid version to make decks Private and for more storage space. To begin making slides online, see the link given below. Also check out our review of another similar service known as SlideOnline.